“If it’s not broke, don’t fix it.” Too often, contracting companies operate based on trial and error. Many of them fail because their operational processes are either ineffective or non-existent. As a result, they are never able to see long-term business growth or profits. By contrast, CCN Members have instant access to a wealth of contractor business development tools including sample letters, forms, manuals, processes and more through our online Knowledge Center. Membership in Certified Contractors Network provides you with training for success. 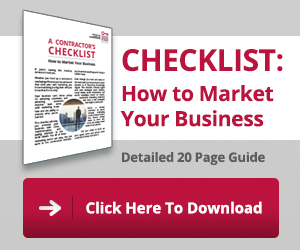 The proven, best practices developed in successful contracting businesses to help your company run more efficiently with increased profitability. Contractors are in the construction business not the training business. Doesn’t it make sense to leave the training to proven professionals so you can concentrate on running your business? As a CCN Member, we will provide you and your employees with contractor designed training that addresses your day-to-day challenges. Our training focuses on the three core areas of a contracting business (sales, administration, production) similar to a three-legged stool. Classes are taught by trainers with hands-on experience in the contracting industry. Instruction is provided through many different platforms: conferences, intense boot camps, live-recorded webinars and audio only recordings, many of which are available 24/7. Our processes and procedures are proven to be successful in contracting businesses, minimizing expensive trial and error. You will have more time to spend working on critical aspects of your business knowing that your employees are receiving specific, consistent, continual training in their areas of responsibility. The end result is a higher performing employee, a happier customer and a successful business. Employee recruitment and retention is one of the greatest challenges faced by contracting businesses. Longevity of employees is a key element in building trust and credibility with your customer base and to your overall success as a company. 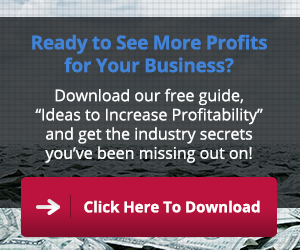 Constant turnover is a drain on your company profits, time and resources. “More money” is not always the answer when hiring new employees or retaining existing ones. Today’s employees are searching for companies that provide opportunities for them to grow and improve. A small business may not have the resources to offer those opportunities but as a CCN Member, you have access to training and industry best practices to help you hire the best staff and provide them with greater opportunities. Well-trained employees have high self-esteem and are happier because they know what they can and should do. Managing them is easy—with CCN tools and training, they become self-directed — freeing you to concentrate on growing your business. In every company there are two customers: the external customer and the internal customer. Both customers are integral to the overall success of a company, yet most contracting companies concentrate only on satisfying the external customer—the client. However, if the internal customer—the employee—is trained properly, given proven word tracks, processes, procedures to interact positively with the client, the overall result is Customer Satisfaction. The quality of the project increases—less call backs, less disputes, less unrealized expectations. As a CCN Member, both you and your employees have access to proven contractor specific training. 100% Customer Satisfaction becomes more than a tag line; it becomes part of the company culture and results in ongoing repeat and referral business. Many contracting businesses don’t run their business by the numbers because they don’t know what the numbers are. They may know they have profit leaks but can’t pinpoint the location. Their departments function as individual units rather than as part of a team. Their company culture is “us against them.” CCN provides training for all members of a contracting business, eliminating the division often found in a contracting company. Each major area of the business (sales, production, administration) learns to understand the responsibilities and impact of the other departments and they begin to function as a team. This unified approach results in increased profit margins because everyone focuses on the bottom line and works together to find the most cost-effective solutions without sacrificing quality. Business Planning Boot Camp teaches Member owners and key employees to understand their numbers and plan for the future. Included in your CCN Membership, this intense workshop is taught by successful contractors with proven track records. You will gain an in-depth perspective of your company’s health from your financials through your sales/production/marketing plans. Attendees will leave with an accurate pro-forma financial plan, sales and production plans including customized action plans, an HR plan, a 12-month marketing plan with calendar and more. Accountability is a huge motivator and CCN Members that have not only shared their plan but also followed their plan, have greatly increased their profits.